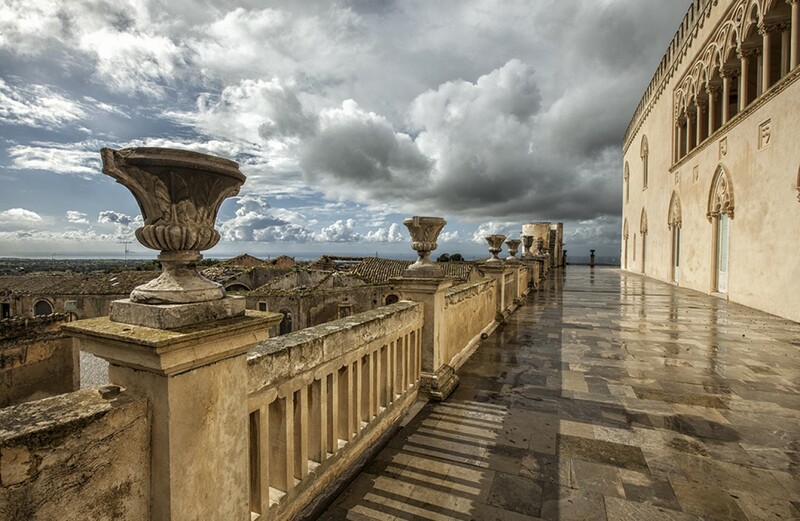 If you’re visiting southeast Sicily and want to get a peek at the recent lifestyle of Sicily’s bluebloods, I recommend a visit to Donnafugata Castello, 20 kilometers outside of Ragusa toward Santa Croce Camerina. 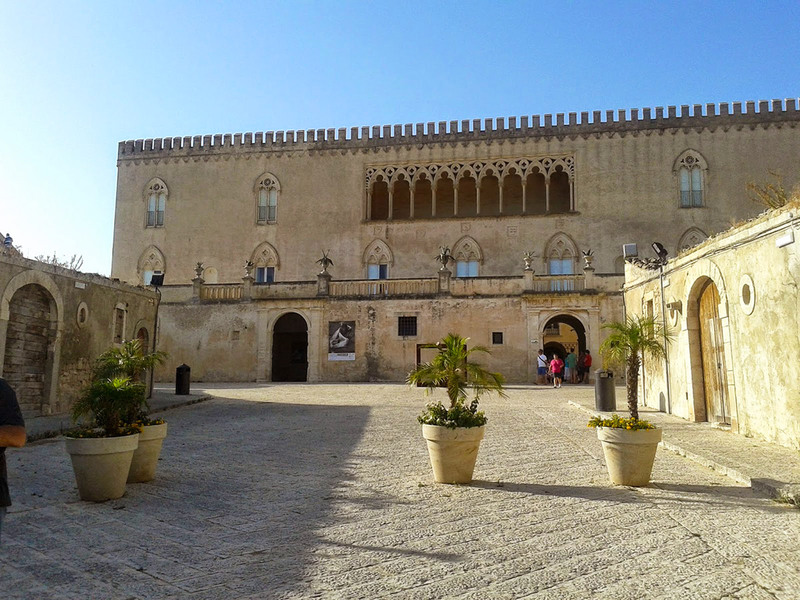 Set in rolling countryside among rocks and giant carob trees, the castle dates back to the mid-17th century. You’ll wonder where exactly you’ve arrived when the gracious Venetian-style facade looms into view. 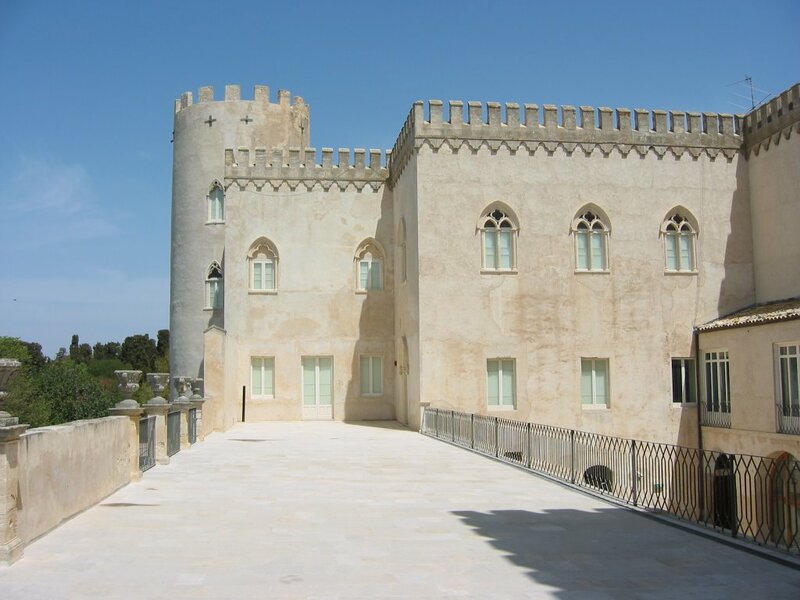 In the mid 19th-century, the Baron of Donnafugata built the Neo-Gothic castle onto the 17th-century extant core. 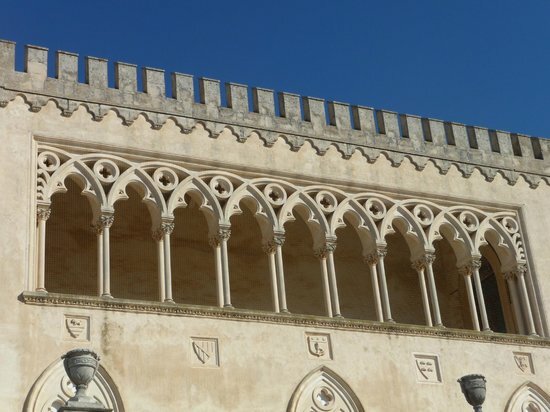 A half-century later, the southern facade was broken through to insert a replica of the Venetian Gothic arcade of the Palace of Popes at Viterbo. A Neoclassical temple was added in the garden. 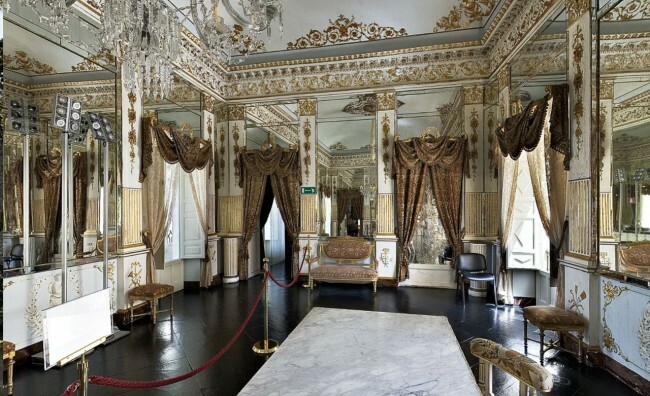 This fascinating amalgam of styles is further confused by the lush, gilded, trompe-l’oeil Baroque interior.